March is the step up month in my marathon training and I clocked just over 182 miles of which 100 were indoors on a treadmill and 82 were actually outside. 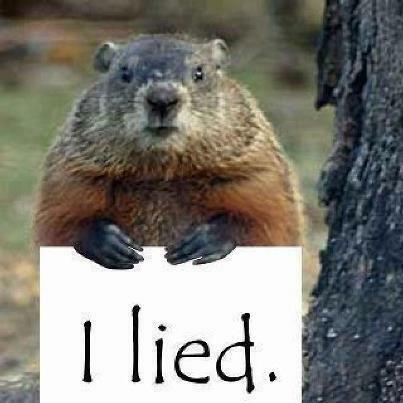 Yes, March brings the beginning of spring and after finally getting outdoors on March 10th for a teaser of future weather I feel we got ‘punk’d’ by Punxsutawny Phil. What the heck happened? We got snow in the last week of March and it sent me back inside the gym again. Anyway, as mentioned earlier, this was the month my marathon training started introducing the ‘longer’ long runs. I had a 17, 18 and 20 miler to do and thankfully all were able to be done outside. The 18 miler was the coldest and started off with me slipping on ice as I left my house. Needless to say that was a very slow and decidedly steady run. But run it I did and made it through the month. I struggled a little with an ache in the arch of my right foot during the middle of the month and I had to cut a run short to make sure I didn’t push myself too far. It had been nagging me for a couple of runs but I wanted to make sure I was fit for the long runs. Thankfully all was okay. My last long run was outside by the Delaware Canal and it happened to be on the first day of trout fishing season. As the water level was high my progress was halted by some flooded areas so I repeated a 6 mile out and back three times as part of the run. I ran multiple times past dozens of people sitting or standing by the banks of the canal fishing thinking to myself how can they sit there doing nothing, just waiting for something to happen? They were probably looking at me thinking what the heck is that guy doing running past me again and again….is he lost? They wore camouflage and I wore spandex. Two very disparate worlds. I struggled around mile 16 on that run and although I finally made it to mile 20 I actually was beat up. I wasn’t using my regular energy gels and I feel that made a huge difference. I actually for a couple of hours after. I rotate a couple of pairs of Brooks Adrenaline GTS 12’s at a time and track the mileage on each and the pair I was running in had reached 450 miles by the end of the month so I feel that the arch pain and sore foot I experienced this month may be because I pushed that particular pair too far. It may be that the discomfort was a sign that the shoes were basically past their due date. 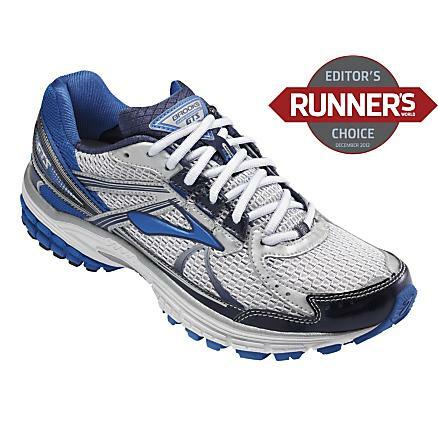 Nevertheless I now have a new pair of Brooks Adrenaline GTS 13’s to break in before the New Jersey Marathon on May 5th and another pair being delivered to keep on hand when my next pair (already at 294 miles) are ready to be retired. 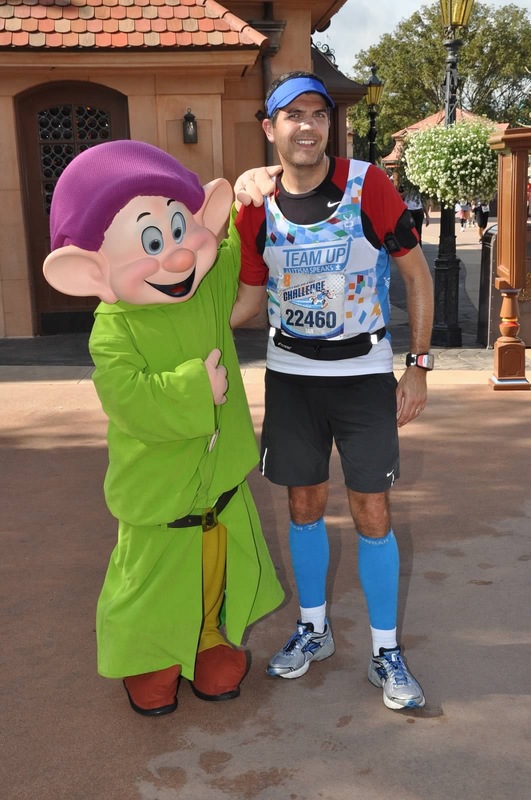 March was memorable in that runDisney announced a new event for 2014. The inaugural ‘Dopey Challenge’. You can read about it in my post from the day it was announced. I am so pumped by the prospect of this event that I am very close to an intervention for sure. I have decided that I will again be running with TeamUp to raise funds for Autism Speaks. It is a cause near and dear to me as I have a family member who has been diagnosed with Autism Spectrum Disorder and I feel it is the least I can do to help. Once registered I will be posting my training plan and fundraising ideas so watch this space!!! Alternatively you can head over to my new Facebook page which launched this month. It is linked to this blog and will offer a forum for people to post and share along with other news and some giveaways. Take a look, ‘Like’ it and see what you think. 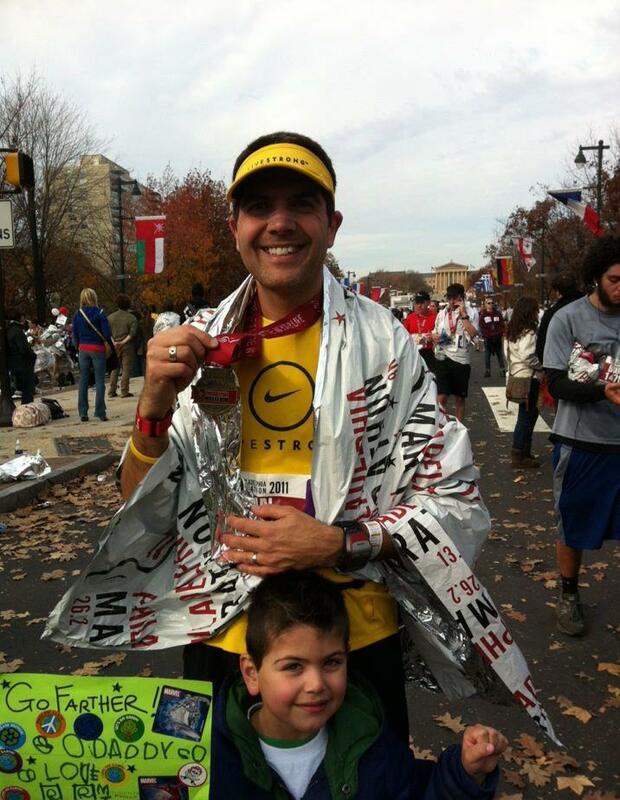 Tomorrow is April 1st and is the day the registration for the 2013 Philadelphia Marathon opens up. This is a special event for me as Philadelphia was my first marathon back in 2011 (not that that was too long ago). This year the plan is for my wife Shari and I to register and run together. This will be her second marathon after Walt Disney World where we ran together too. I want to take this one easy as I will be focusing on completing Dopey standing up and uninjured. I will be focusing on the upcoming New Jersey Marathon in May as my time goal for the year. April also is the start of what is our ‘race’ season. We are not competitive runners but have signed up for a number of events over the next few months to keep us in shape. First up is the Atlantic City April Fool’s Half Marathon on April 7th. You can see the races that I have planned on my ‘Races and Events‘ page. I hope to be able to do some race recaps on these events whenever possible. So final thoughts. I am hoping that the weather finally breaks and becomes what we expect spring to be (although temperatures in the low 50s and overcast would be fine on race days). April has one more long run and then the beloved taper. I will also be signing up for the 2013 Philadelphia Marathon and the 2014 Dopey Challenge. Today I passed the 3,000 mile mark in my running career (it’s a full time gig). So how did I get here? On ‘My running story‘ page I tell how I got started running. But that is not really the whole story of what I do and how I do it. I started running on a treadmill back on August 2nd 2010 (I had joined the gym on August 1st) doing a Couch to 5K program. I persisted through the first couple of painful days as my body reacted to this new activity, and got through the initial shin splints I developed and by mid-September I had gained enough confidence to take a run outside. 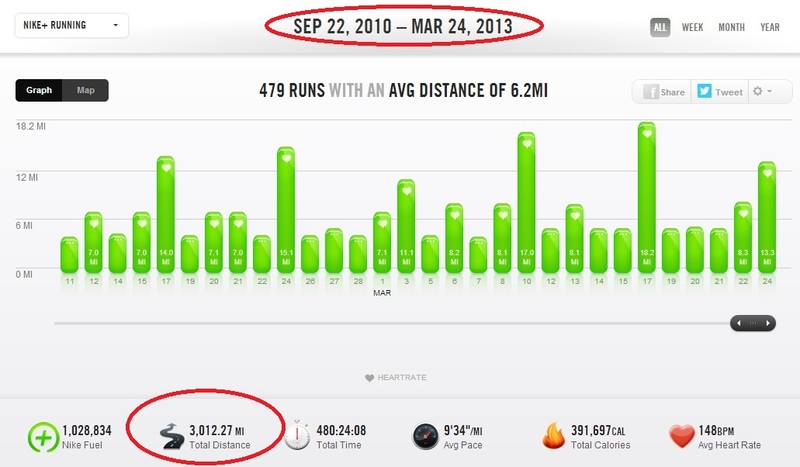 In anticipation of this I had started to look at how I could track my runs and invested in the Nike+ Sportband. I took my first run using the system on September 22, 2010 on an 80+ degree day. I struggled to run 1.8 miles in the heat (I said I was confident enough not necessarily smart enough) but pushed through gradually building up my distances until by December of that name having lost 20+ pounds I ran my first 10K distance on December 31, 2010. You can see where this is going right? I’m a statistic tracker (geek) and have recorded all my runs since. I moved up to a GPS device in February 2011 (my birthday treat) and haven’t looked back. I use the Garmin Forerunner 305. To load my Garmin data into Nike+ I use a web app designed by Angus Smithson. Here is the link. I also upload my data into ‘dailymile‘ and ‘Strava‘ so that I have a history in more than one location should any of these sites stop supporting Garmin devices. I do this manual upload routine after each run…until I get a watch which will upload to all at the same time!! Around the same time I started running longer distances I began strapping my right knee as I was struggling but too hard headed to quit (good decision). I figured I needed to do something about this and while Googling runners knee and other ailments I came across Jeff Galloway and his ‘Run Injury Free‘ method. I didn’t know who Jeff was at the time but I thought this was worth a try. I hadn’t signed up for any races at the time but I had a couple of goals. Since February of 2011 I started using Jeff’s ‘RUN-WALK-RUN’ method experimenting with various intervals. I had signed up for the 2011 Broad Street Run (the largest 10 miler in the US) and that was to be my first big race. My wife noticed an inaugural Half Marathon in Tyler Park nearby a couple of weeks before Broad Street so I decided to sign up. My practice run the week before the Half ended up with me getting lost in the park. It was my first time there and I wasn’t familiar with the park, plus I had the map upside down….D’oh!! During that Half Marathon (and many subsequent races) many people stopped to talk to me during a walk break as they had seen me taking regular walk breaks in between set periods of running. I would pass them during the run section and then they would pass me during the walk and this kept going on. It is usually the latter part of the run when I get stopped as these people have seen me taking these walk breaks but have not managed to pass me. Jeff’s basic philosophy is to take regular walk breaks before you get tired as this gives your muscles a chance to recover and you can finish a long run faster and stronger. In his books he states his goals are to have runners cross the finish line standing up with a smile on their faces. Having run (to date) 7 Half Marathons and 4 Full Marathons I can attest that this method works for me. In fact I PR’d in a 5K last year with 23:31 which included 3 minutes of walking (6 walk breaks of 30 seconds). If I had gone flat out I would have faded towards the end of the race. I once tried a 5K when I wanted to see the difference not taking a walk break would have and I finished with 28:04. That’s a pretty big difference. So I guess I will stick with what works. I currently run with a 4:00/0:30 ratio. This is my plan for this year although I sometimes play around with intervals between races. Taking walk breaks also reduces the risk of injury as it gives the body time to recover. I use this time to let my heart rate come down. I watch this pretty carefully so I can judge the effort I am expending with the pace I am trying to maintain. The reason I use this method is so that I can continue to run as long as I can. It’s only been 2 and 1/2 years so far but I would like to continue as long as I can and by using this method I can hopefully continue for many years to come. One day I hope that I will be running events with my boys. I recommend you check out Jeff’s site to learn more about him and the training methods he employs. Now I know a lot more about Jeff, have a few of his books and occasionally ask him questions (to which he timely responds) on his Facebook page. 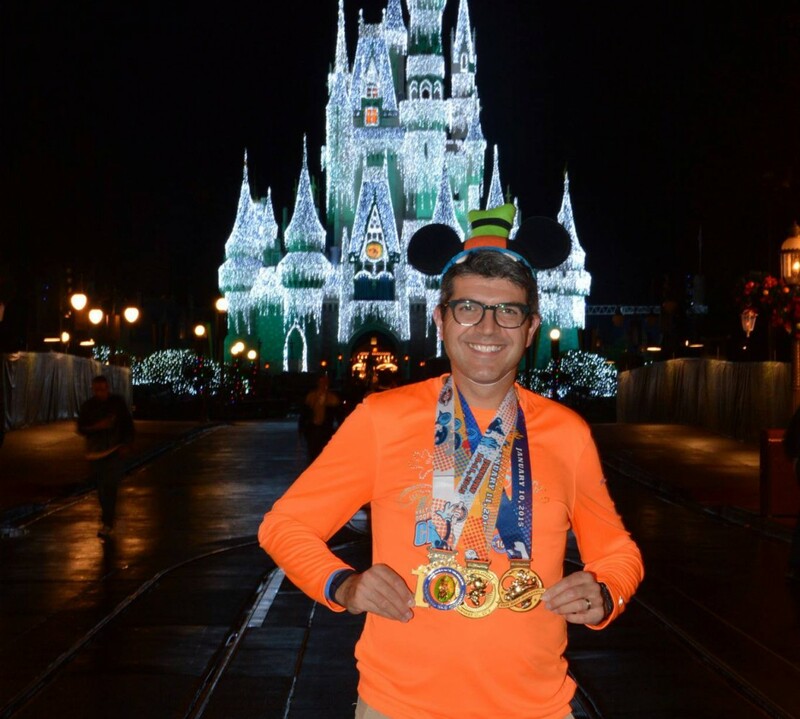 Jeff is actually the official runDisney trainer and his programs are available on the runDisney website. One day (hopefully next January) I hope to meet Jeff in person and thank him. At Disney I am in good company. There are many Gallowalkers. Everyone uses their own timers for their Run/Walk ratios and many times I heard beeping and had to check whether it was my turn for a walk break or someone else. I was in good company. My goal was never to run to win everything or to always be looking to place in my age group. Running has enabled me to lose 60 pounds, turn my health around and spend quality time with my family. In that way I have already won. Running has given me opportunities to explore different cities and countries. I have run in the USA, England and Israel to date (and if you count EPCOT’s World Showcase, plenty more countries). Mostly I compete with myself and enjoy the camaraderie of fellow runners in the events I run in. Using Jeff’s RUN-WALK-RUN method I have indeed crossed the finish line standing up with a smile on my face. Long may this continue. Let’s see how far I can go. If you are interested in the products above I would recommend you look at them on Amazon.com for some reviews. I would also recommend checking out DC Rainmaker for running electronics reviews. They are very comprehensive and do far more justice than I can provide in terms of testing all the functions. Plus you get to check out how Ray and his wife are doing with their move to Paris and the bakery they opened up there. Interesting stuff. 48.6 is the new 42.4…That’s just Dopey! Was this a prediction for 2014? So, what’s the plan? Am I in? You bet. Wouldn’t miss this. A friend suggested I need an intervention. Maybe, but it will have to wait until January 13, 2014!!! After more than 5 weeks of running inside on a treadmill I finally got to run outside today. I didn’t even mind losing an hour of sleep from changing the clocks last night as I was so pumped just to be finally away from the treadmill. Free from music and podcasts, breathing fresh air and enjoying the sunshine. 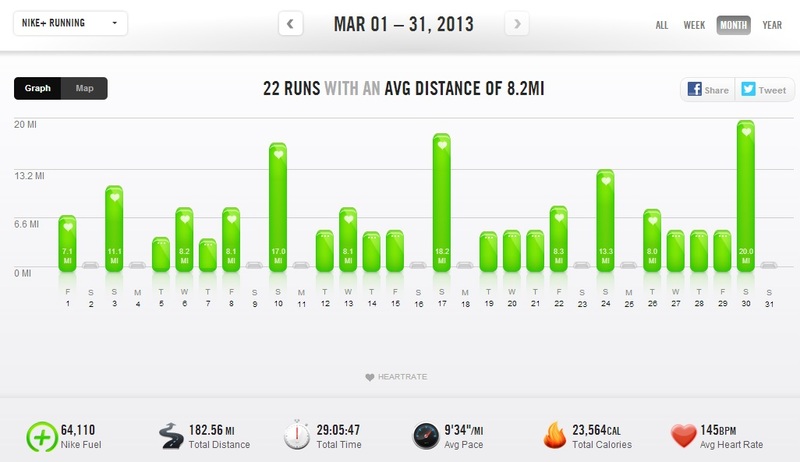 With the NJ Marathon only 8 weeks away I am now running longer distances. Today was a 17 miler and I was so glad to be able to do this outside. Not that this did not lead to a little apprehension about what to wear as I had got used to my usual indoor attire of t-shirt and shorts. A quick use of the Runners World ‘What to Wear’ tool showed that I could get by with a long sleeve T, shorts and a hat for sun protection. I added my Brooks Essential vest to keep my core warm and my Brooks Gossamer gloves to keep my hands warm plus my bright blue Zensah’s and I was up and out and ready to run. Tyler Park has quite a number of hills and after being on a treadmill for a number of weeks I was concerned on how I would fair after running on essentially a flat to slightly elevated platform. I had changed my Galloway Run/Walk ratio to 4:00/0:50 based upon a response from Jeff Galloway to a question I posted on Facebook and set out. I was a little concerned about the new ratio as I had never gone beyond a 0:35 walk before but he’s the expert to so I did what he advised. I’m pleased to say that it seemed to work well for me. I ran perhaps a little quicker during the run but the recovery time during the walk seemed to help a lot. I covered the first 13 miles in 2 hours which isn’t bad given the terrain and my traditional pace. Here is a link to my Garmin data if you want to see all the charts for today’s run. As it was really the first really beautiful day of the nearly spring season it seemed like everyone was out in the park and with a smile on their faces. Everyone seemed to be really friendly and gracious. 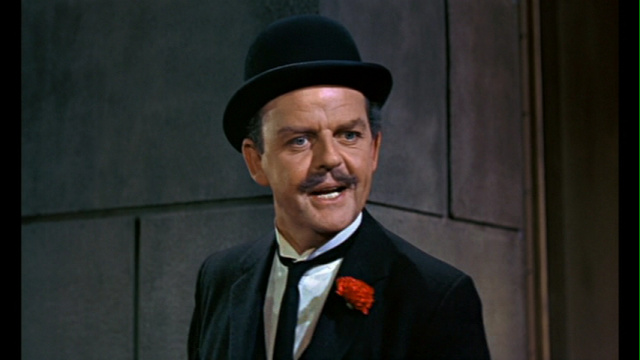 It was lots of ‘hello’s and ‘good morning’s although it seems people can be somewhat taken aback when the oncoming runner (namely me) says good morning sounding like Mr Banks (the father from Mary Poppins). It certainly turned a couple of heads and made me smile. I should just confirm that this was not how I dressed. It was also good to see a few friends of ours out there. I ran past our friend Mike who lives near the park and can run circles around me. He was no doubt in training for Boston next month. 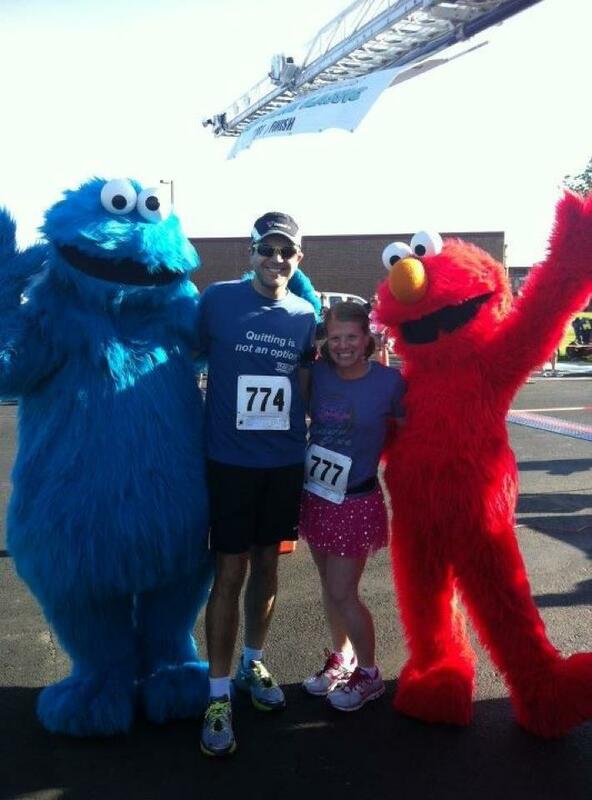 I also saw our friend Lauren who is new to running having recently completed her first 5K. Today was a great day to be out in the sunshine and she was taking her first run in Tyler Park. 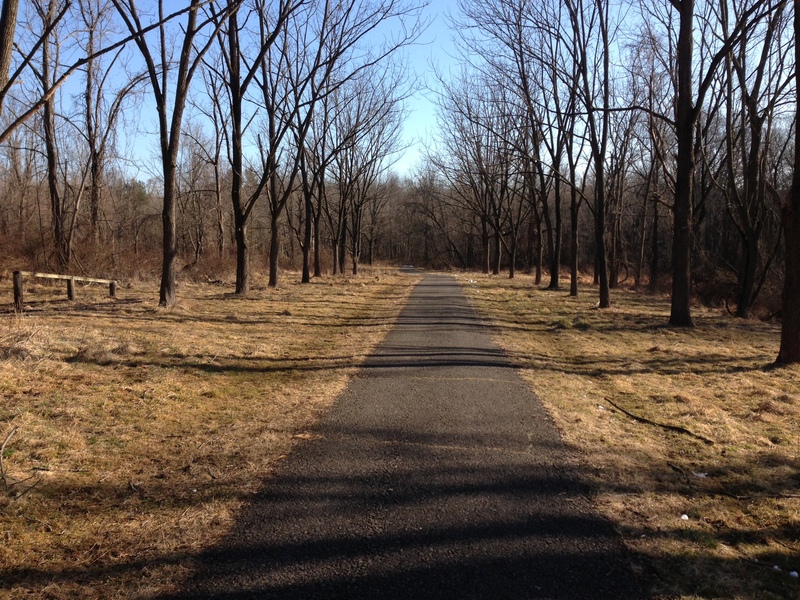 It is a great park to run in and has many routes and trails. If you are ever in Bucks County, Pennsylvania and want a nice place to run you must check it out. Be aware though it is quite hilly but that’s good right? Here is the link for park information. Of course, you don’t run 17 miles just for fun do you? You run for the post run treats. Needless to say I parked on the side of the park closest to the Dunkin’ Donuts. Let’s just say I earned my post run treat as shown below. 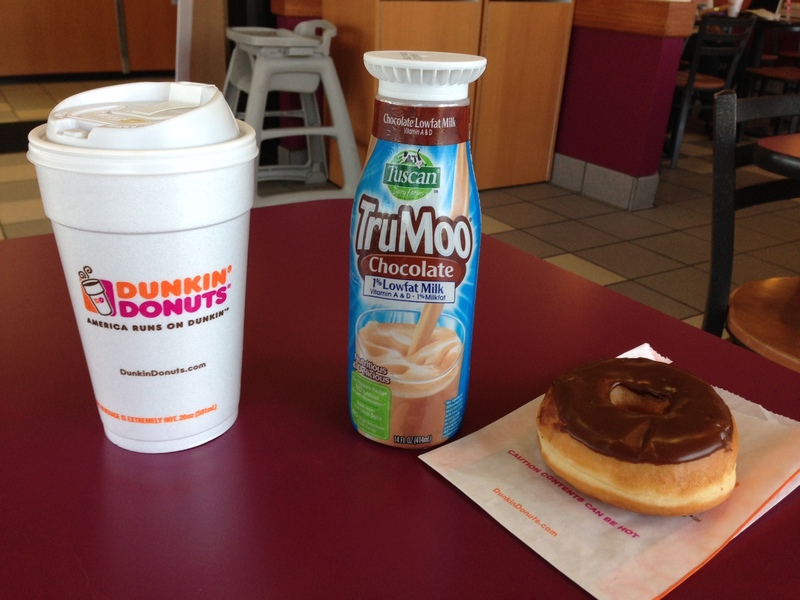 Chocolate milk for the carbs and protein (ahem), a donut and a large black coffee. Yum! It’s better running outside than inside (no brainer). I am faster outside under my own power than on a treadmill powered by a motor. Grown ups actually DO play frisbee golf (it’s not just a college student thing). My ‘Headsweats’ visor is an invaluable piece of equipment in keeping me cool, dry and shaded from the sun. Running in shorts when the starting temperature is 32 degrees is not such a bad thing. People are not expecting my accent when I speak to them. My new Run/Walk ratio seems to be a good piece of advice (thanks Jeff). Not all dog owners follow the sign to keep their dogs on a leash. The first spring like day does really bring out the best in people. I’m very particular in the type of running gear I wear. If I find something I like I tend to stick with it. I find something that fits me well, is comfortable in a range of temperatures and is durable and then I buy it in a range of colors so I can ‘mix and match’ according to my mood (or whatever is not in the laundry basket). The vast majority of my gear consists of Nike Miler t-shirts and Nike 7″ Essential shorts and practically all my socks are Drymax medium thickness from Roadrunner Sports (I said I was particular). For long sleeve shirts I tend to stick with the Roadrunner Sports branded shirts as the sleeve length is just about right for my longish arms (I’m not Mr. Tickle but I do wear a ‘Long’ jacket). However, I do have another brand of shirt that I like and it also allows me to show my fun side from time to time and this is the Wick-lite Diamond Knit fabric shirts from One More Mile. Many of you who have been to race expo’s will probably be familiar with One More Mile. They do a great job flying back and forth across the country appearing at all the big race expo’s out there. 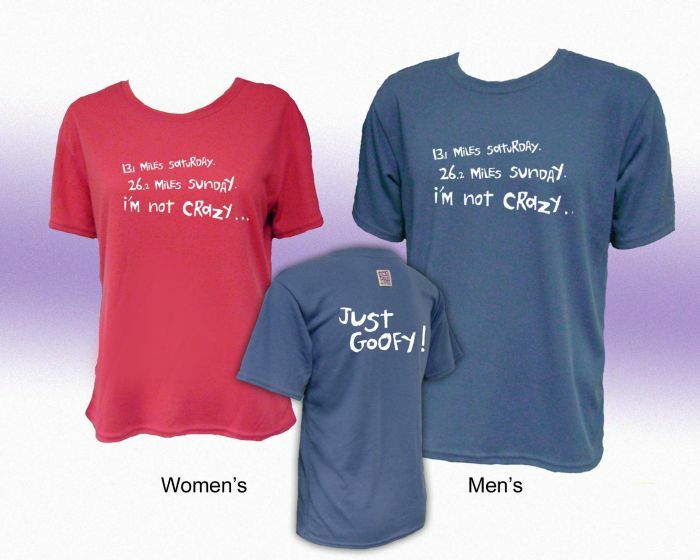 I first came across them when I visited the Broad Street Run expo in 2011 (my first big race) and I found the slogans on their shirts very humorous. I think on that day I walked away with a couple of gifts (probably Diva or Princess related) for my wife Shari who was new to running at that time. Shari has done well with their gear as I tend to be very generous at race expo’s. I bought my first shirt from them in early 2012. I had just signed up for the 2013 Goofy Challenge with TeamUp for Autism Speaks and saw that they had TeamUp slogan shirts. I bought one on line and wore it for the first time at the 2012 Sesame Place Classic. It was a fairly warm day and was a 5K so it was my ‘experiment’ run to see how it felt. It was very comfortable, soft to the touch and wicked moisture away from the skin well. In fact I wore it many times over the summer. Shari has a couple of shirts from them in long sleeve that she runs in and she finds them comfortable although they are different fabrics (they have various tech fabric shirts and a style for ladies called ‘burnout’ which is kind of vintage looking finish). 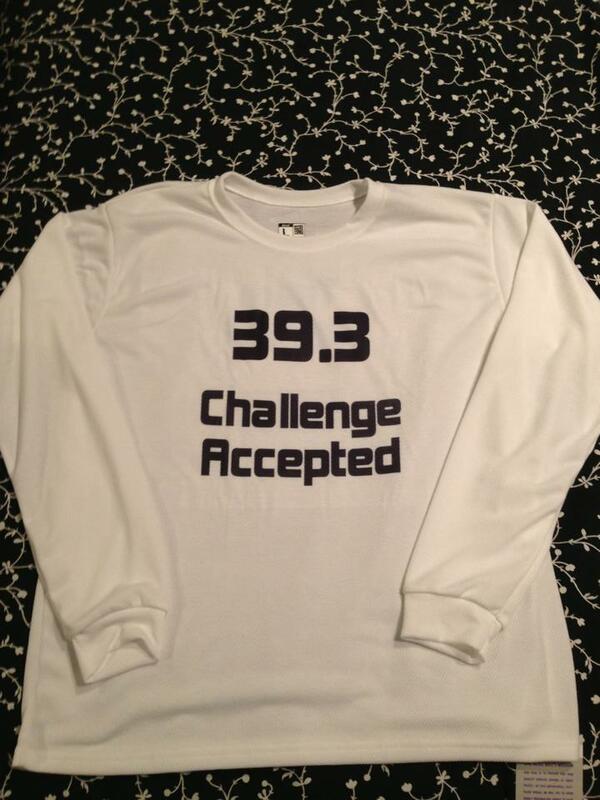 I follow them on Facebook and as it was getting closer to Goofy they showed a Goofy custom shirt with the slogan ‘39.3 Challenge Accepted’. I just had to have that. I decided to go to their customizing site and place a special order. 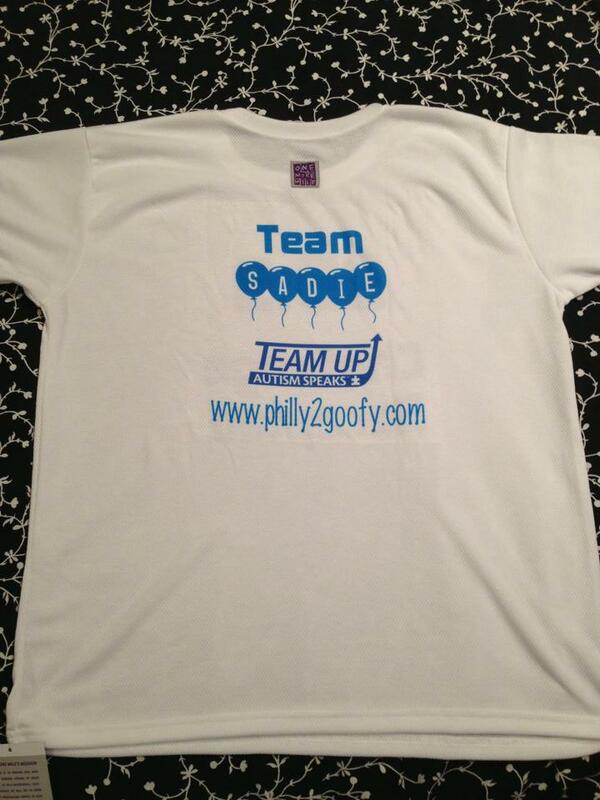 I got the TeamUp logo from the charity and put on my ‘philly2goofy’ address and dedicated it to my niece Sadie. It was a long sleeve Wick-lite Diamond Knit shirt and was very comfortable. 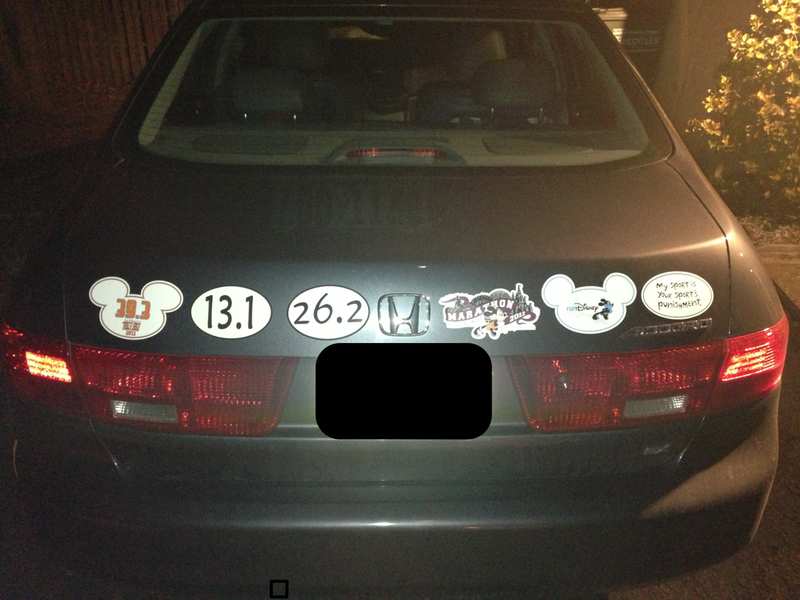 Needless to say I wore it during the runDisney expo and at the TeamUp team dinner the night before the Goofy Challenge began. I have to tell you now about their amazing customer service. When I was ordering my custom shirt on line I had a glitch on my connection. I wasn’t sure if my design/order was processed. It took a couple of phone calls to and from them and voila, the shirt was a go. They were very responsive and helped make sure I got what I wanted. My second experience was at the runDisney expo. I saw a special Goofy related design which at the time was a special made for the weekend (see below) By the time I got to the expo they did not have one left in my size. The gentleman managing the booth gave me a number to call and told me that because it was a special for the race I could ask for one to be made and offered to waive the shipping so I would get the same price had it been available at the expo. I was taking turns to look around the expo with my wife so when it was my turn to sit with our boys I called and ordered my shirt with the custom design. A week or so after returning from Disney my shirt arrived but unfortunately the shirt was printed in reverse with the punchline on the front. I know…I could always run backwards but I’m not sure how far I would manage before bumping into something. So I called customer service and they said no problem, although it was a custom shirt they would send me another together with a return envelope for the original shirt. Great. A week went by and nothing. Then another couple of days and nothing. I called back and they said they had sent it and asked me to wait another couple of days. When it still didn’t arrive I called them back and they apologized and had another shirt made and sent out to me as soon as they could. In the meantime, their customer service team kept in touch with me a couple of times to follow up to see if I had received anything yet. Finally I came home one day and there was not one but two packages. Yep….one had taken the long way to Pennsylvania. I got my shirt(s)….yeah!!! I made sure to return the original and the spare the next day. As I said earlier, great customer service. I wore my new Goofy shirt proudly in the gym as I ran a 16 miler on the treadmill the next weekend. I would like to say that everyone thought my shirt was hilarious but seriously you don’t see many people at the gym at 4:30 a.m. on a Sunday (their loss). I would absolutely recommend their website if you cannot get to see them at an expo. Their custom shirt service is great too if you want to go that route. They often have deals promoted on Facebook and run competitions from time to time for new slogans for their shirts. Check the site out, some of the sayings will have you laughing out loud. I would also recommend the Wick-lite Diamond Knit fabric if you are looking for something that is comfortable to wear while running. It is nice and lightweight and works well in keeping you dry. Make sure you get a funny slogan…people need to have something to read during a marathon as you pass them!! !